Getting children to eat their greens is notoriously difficult, but a brand new smartphone app may offer parents a helping hand by making vegetables more psychologically appealing to their youngsters. That’s the claim made by researchers at Aston and De Montfort Universities, who’ve developed a new program in association with the British Psychological Society. The result is Vegetable Maths Masters, which ‘exposes children between the ages of 3 and 7 years old to vegetables via a game’. To play, children choose a character, then feed them a variety of ten vegetables throughout the game. The said character is happy and animated when they eat these and gives positive verbal feedback. In addition, children also earn stars as they complete problems, the DailyMail reports. This, experts say, reinforces positive reactions about vegetables in the child’s brain, making them more likely to willingly consume them during meal times. In turn, this helps them to achieve their government-advised goal of eating five servings of fruit and vegetables per day (although a child’s portion size is considered the size of their palm). Dr Claire Farrow, Aston University said: ‘We have developed an app which draws on psychological research to integrate different methods known to increase interest in vegetables and eagerness to try them. ‘These include repeated exposure to real images of vegetables, token rewards for playing with vegetables and ‘feeding’ them to other children / characters. 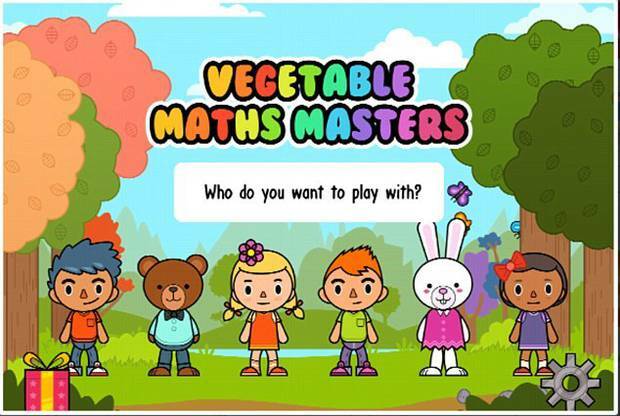 Professor Emerita Carol McGuiness, Chair of the British Psychological Society’s Education and Public Engagement Board said: ‘The British Psychological Society welcomes the successful launch of Vegetable Maths Masters. Next articleYour health: How does plant medicine impact breastfeeding? An app-based research project is an example of the sort of research that is being conducted globally in an attempt to better understand Alzheimer’s disease. By Ruby Harfield.